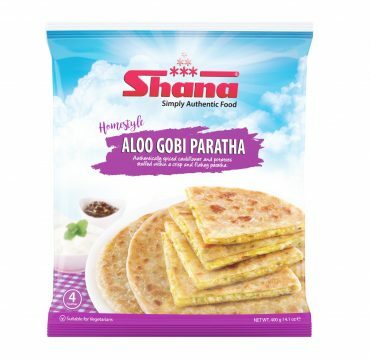 Shana’s Homestyle Parathas can be cooked from frozen in a matter of minutes, allowing you to enjoy these delicious traditional stuffed parathas without all the hassle. Shana’s Homestyle Aloo Gobi Paratha encloses authentically spiced cauliflower and potatoes within a crisp and flaky paratha. Great as a snack or accompaniment to any meal. Available in Standard Pack 4 pcs. Cauliflower (29%), Wheat Flour, Water, Potato (16%), Coriander, Palm Oil, Salt, Partially Hydrogenated Sunflower Oil, Mixed Spices, Green Chilli, Sugar, Raising Agent (Sodium Bicarbonate). Allergy Advice: For allergen information, see ingredients in Bold. Factory handles milk, soy, nuts, mustard seeds, sesame seeds and peanuts. 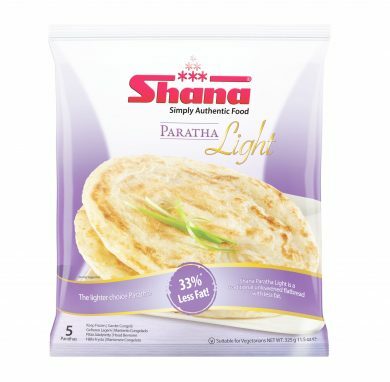 Remove all the packaging and place the paratha onto a non-stick pan at a medium heat. Cook for 4-6 minutes, or until the paratha is light brown and crisp, occasionally turning it over. Take the paratha off the heat and serve while still warm. Hey Buddy!, I found this information for you: "Homestyle Aloo Gobi Paratha". 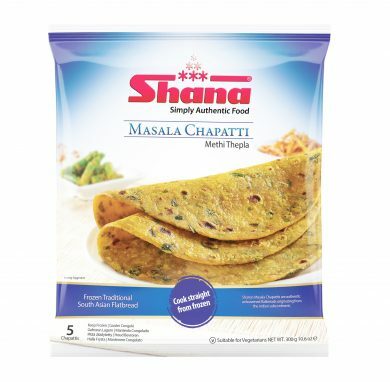 Here is the website link: http://www.shanafoods.com/product/homestyle-aloo-gobi/. Thank you.